Refractometers for the Petroleum and Petro-Chemical Industry. applied to both sides of the sample. However, there are still applications where temperatures above 100°C are needed. To accommodate the need to measure above 100°C, the Temperature Boost (TB) option was developed for the J357 Refractometer Series. The maximum temperature of the refractometer is increased from 100°C to 110°C. The maximum temperature of the temperature control system is increased to 120°C for a period of 60 minutes. At the end of 60 minutes the temperature control will shut off and the instrument will cool down to ambient temperature for a period of 1 hour. Measurement Range: 1.26 – 1.7 RI; 0 – 95% Brix Accuracy:0.0001 RI; 0.1 Brix Electronic Temperature Control: Fixed temperature selection: 20°C and 25°C The J57WR-UF-SP is often combined with Rudolph’s density meter for automated measure of petroleum fuels, oil and waxes. 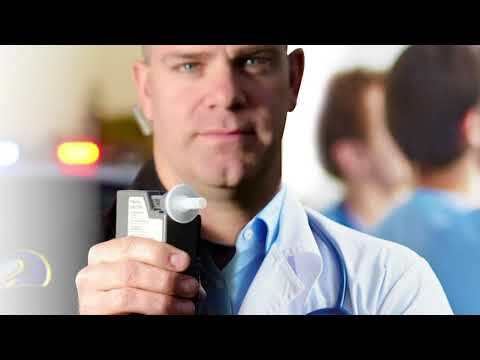 Combining a refractometer with an ECS autosampler eliminates the need for manual loading. Measurement Range: 1.26 – 1.70 RI; 0 – 95% Brix Accuracy:0.00004 RI; 0.03 Brix Electronic Temperature Control:Flexible temperature selection between 15°C – 100°C; TB option: allows 15°C – 110°C with one hour boost to 120°C Designation: D1747-99 Standard Test Method for Refractive Index of Viscous Materials 1. Scope 1.1 This test method covers the measurement of refractive indexes, accurate to two units in the fourth decimal place, of transparent and light-colored viscous hydrocarbon liquids and melted solids which have refractive indexes in the range between 1.33 and 1.60, and at temperatures from 80 to 100°C. Temperatures lower than 80°C can be used provided that the melting point of the sample is at least 10°C below the test temperature. The J357-NDS is able to control temperature to 100°C because it has a unique dual temperature control system where heat is applied to both sides of a sample, meeting the needs of all the ASTM standards. For added flexibility for cloud points occurring closer to 120°C select the TB option. Please contact the factory for help with this option. Electronic Temperature Control: Flexible temperature selection between 10°C to 100°C with ±0.01°C reproducibility. Rudolph’s most capable refractometer. Perfect for today’s highly regulated laboratories offering full 21CFR Part 11 compliance. Rudolph Research is the first manufacturer to offer Smart Measure™a system that notifies the operator of the quality and status of the sample load, as well as the sample well status. 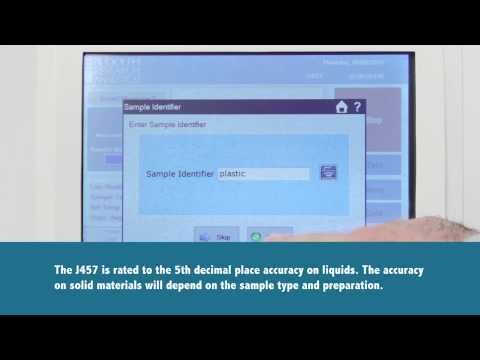 This assists the operator in producing more accurate readings, and actually documenting that the sample was properly loaded. The J457 is available in 3 configurations J457 SC – Standard Bench-top, J457 WC – Wall Mount, and the J457 FC – Factory Configuration. These configurations allow the measurement unit to be isolated from the display unit, thus protecting it from harsh environments and messy spills. — R.S., Cargille Laboratories, Inc.